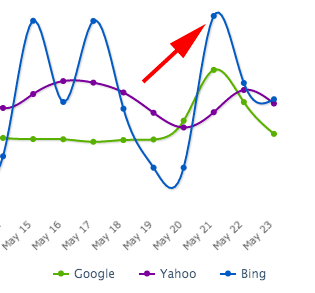 Home » BingNews » Bing Search Update On May 22nd? Bing Search Update On May 22nd? Over the past few days I spotted two webmasters asking about a Bing Search update. With all the domain clustering and penguin chatter dominating the SEO space, it is possible that webmasters have been focused on Google and missed a possible Bing search update. A single WebmasterWorld thread and single tweetdirected at me seems to have a couple webmasters noticing a possible Bing Search update. Did Bing really update their algorithms or search results? 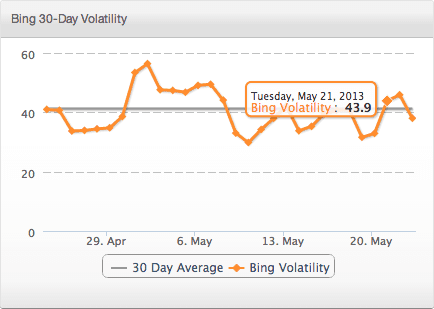 Have you noticed a change in your Bing traffic over the past few days?